Dear Applicants, Do you want to apply for APSC Recruitment 2019? If yes, then Assam Public Service Commission has issued notification for 90 Computer Operator & Other Posts. Candidates who wish to apply for Assam PSC Vacancy can fill application form from 07.02.2019. Last date to apply for CDPO Vacancy is 06.03.2019. Participants who have passed higher secondary & completed graduation can apply for APSC Computer Operator Jobs. For more details applicants must read the given article carefully. Fresh Update as on 27.02.2019: Candidates who are interested can apply for APSC Recruitment 2019. Applicants must fill application forms before or on 06.03.2019. Participants can apply online from the direct link given here. For more details or updates stay connected with us. How I Check Application Fees, Pay Scale & Selection criteria for APSC Forest Ranger Recruitment 2018 ? How I Fill Application Form for APSC Recruitment 2018 – Assam PSC Forest Ranger Jobs ? How I Check required Eligibility Criteria For APSC Recruitment 2018 – Assam PSC Bharti ? What is the Monthly Salary, Application Fees & Selection Criteria For APSC VO Bharti ? What is the Required Eligibility Criteria For APSC Recruitment 2017 – 18 ? What is the Age Limit for APSC recruitment 2017 – 18 ? 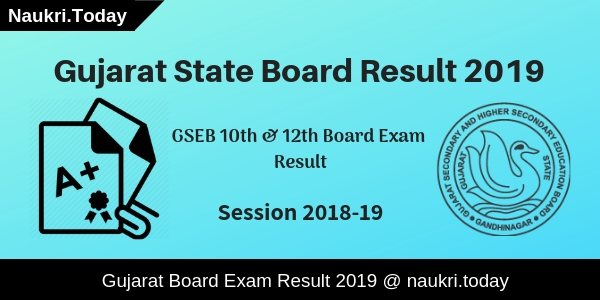 12th Pass or Higher Secondary from recognized board. Yes, upper age relaxation scheme is applicable by the department for Reserved Category candidates. Applicants need to send hard copy of application form at department’s given address. Here we are providing you postal address of APSC Department. Conclusion: Assam Public Service Commission is inviting application for 90 Computer Operator & Other Posts. Interested participants can fill application form for APSC Recruitment 2019. Candidates can apply for Assam PSC Vacancy before or on 06.03.2019. Dear Applicants, Do you want to apply for APSC Recruitment 2019? If yes, then Assam Public Service Commission has invited applications for 68 Assistant Engineer posts. Eligible and Interested candidates can apply through offline mode. Notification of APSC Assistant Engineer Jobs 2019 is issued on 21.12.2018. Closing date to fill application form is 02.02.2019. Contenders must check eligibility criteria and more details before filling registration form for Assam PSC Vacancy 2019. For more details regarding eligibility criteria, selection process & pay scale, participants must read the given article carefully. Applicants who wish to apply must check eligibility requirement before filling application form. You can check eligibility details for Assam PSC AE Vacancy 2019 in below section. Candidate who are going to apply for APSC Recruitment 2019 must have Bachelor Degree in Civil Engineering from any Indian or Foreign University which should be recognized by A.I.C.T.E. In Addition applicants must also have passing certificate of Part A & B of Associate Membership Examination. To get rest of details regarding education qualification aspirants may go to APSC Notification from the direct link given at the end of the article. Aspirants who are filling application forms must have minimum age as 21 years for APSC Recruitment 2019. Similarly, Candidate must not be more than 38 years as on 01.01.2018. Applicants must fulfill age criteria to get eligible for Assam PSC AE Jobs 2019. Here some upper age relaxation scheme is also applicable as per rules and regulations of government. Department will going to conduct written examination for the candidates who have filled application forms for APSC Recruitment 2019. Applicants who qualify the written test will get called for interview session by the organization. Afterwards, selection of the candidates will be on the basis of marks obtained in academic examination or written exam. Also on the basis of performance and behavior of participants during interview. For more details applicants must check and download Assam PSC AE Recruitment 2019 notification from the link given. Candidates who are going to fill online application forms for APSC Vacancy 2019 have to pay application fee also. Applicants belonging to General Category need to pay Rs.250/- as registration fee. Similarly, Aspirants who belongs to OBC/ SC/ ST have to pay Rs.150/- as examination fee. Application form filled after last date will be rejected by the department. Payment of examination fee should be done through Challan in head of account “ Non Tax Revenue, Other Non Tax Revenue 0051 PSC, 105 State PSC Application Fee Receipt Of APSC”. To get rest of details relevant to application fee you should check APSC Assistant Engineer Recruitment 2019 notification from the link given below. Applicants who have applied for APSC Jobs 2019 will get paid good salary by the department. Candidates will get minimum Rs.30000/- as their stipend. Similarly, Participants will get Rs.110000/- maximum as their salary. Aspirants will also get grade pay of Rs.12700/- plus other allowances. For further more information you can download APSC Notification 2019 from the link given below. Aspirants who are going to fill application form must submit before last 02.02.2019. Late application forms will be rejected by the department. Here we are providing you some simple steps to download and fill registration form for Assam PSC AE Recruitment 2019. Firstly, Applicants must logon to official website i.e. apsc.nic.in. Then go to home page & search for APSC Notification 2019. Read the whole notification carefully & Search for application form. Then You can download or take print out APSC Application Form. Fill all entries in the application form very carefully. Then affix your recent passport size photo in form. Post applied should be clear in bold letters. Also attach all the attested copies of practicing certificates along with application form. Make payment for APSC Recruitment application form through E Challan. Then send APSC Application Form through post. Conclusion: Assam Public Service Commission has issued notification for 65 Assistant Engineer posts. 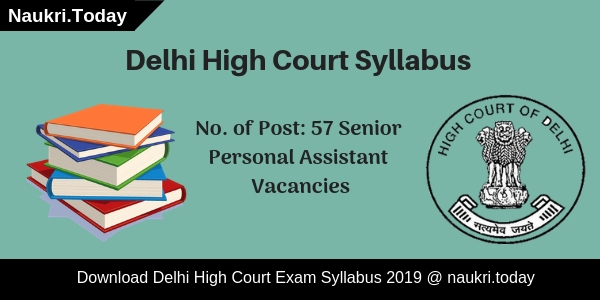 Interested candidate can fill application forms for APSC Recruitment 2019. Last date for submission of application form for Assam PSC AE Jobs is 02.02.2019. Dear Applicants, We inform you that APSC Recruitment 2018 is available to fill up 165 Jr. Grade, Inspector, and Various Post. Assam Public Service Commission will be going to conduct Combine Civil Service Exam for 165 Post. Candidates who are interested in APSC Combine Civil Service Exam 2018 may apply from 17 May 2018. Participants must fill up their Application forms before last date 18.06.2018. you may also check here eligibility Criteria, Age Limit and selection Process for APSC Vacancy 2018. Assam Public Service Commission has announced 165 Various Post Vacancies. For APSC Jr. Grade Recruitment 2018 participants should be selected on the basis of marks obtained in APSC Combine Civil Services Exam 2018. Applicants must be prepared hard to grab Assam PSC Jobs 2018. Aspirants may also check more details related to APSC Vacancy 2018 given below. Here we also provided you Links to download Assam PSC Recruitment 2018. Participants who are going to take part in Assam PSC Combine Civil Services Vacancy 2018 must check here eligibility Criteria before applying. Eligible Candidates must mention their personal details correctly otherwise their Application Forms will be rejected. Participants may download APSC Jr. Grade Jobs 2018 notification either from her or from Official website. Applicants must have Graduation Degree from the any recognized University of Government. Candidates who have Indian Citizenship are applicable for this job. For furthermore details candidates should Consult to APSC Recruitment 2018 Official Notification. Here we have given you Links to download APSC Notification 2018 given blow. Assam Public Service Commission has set Category wise Age Limit for applying Participants. Minimum Age for General/UR Category Aspirants is 21 years and Maximum is 38 years as on 01 Jan 2018. Upper age relaxation for Remaining Category is given below. Here we provided you list of Pay Scale for Different Post. Candidates should check it Carefully before applying for APSC Recruitment 2018. Aspirants may also download Assam PSC Jobs 2018 Notification either from here or from Official website. Assam PSC selects Candidates on the basis of Written Examination. Written Examination will be held in two Parts: Pre Examination and Mains Examination. A preliminary exam will be Objective type in nature. A Time Duration for Pre Examination is of 2 hours. Mains Examination should be taken on theory basis. Final Selection will be done on the basis of Mains Exam and Interview. Foe Furthermore Details Participants should read Official Notification of APSC Vacancy 2018 carefully. Aspirants can download APSC Jobs 2018 Notification from given links. General Category Candidates need to pay Rs. 250 /- as an Application Fee. Participants who belong to SC/ST/OBC/ MOBC need to pay Rs. 150 /- As an Application Fee. Participants can only pay their fee through Challan on other sources of Payment will be accepted. For furthermore information applicants must check APSC Recruitment 2018 Official Notification. Download APSC Combine Civil Services Jobs 2018 Notification either from official Website or From Links given below. Aspirants must check eligibility criteria before applying for APSC Jr. Grade Recruitment 2018. Eligible Candidates must Fill up their Application Forms before the last date for APSC Jobs 2018. Aspirants should pay their Application Fee through Challan Mode only for APSC Vacancy 2018. Participants may log on to APSC Bharti 2018 i.e apsc.nic.in. Candidates should search for Recruitment Section at Home Page. Aspirants must read Assam PSC Recruitment 2018 notification carefully. Applicants should check required education and much more. Eligible Candidates can apply offline from links given below. After that candidates may fill up their application form carefully. Now recheck your form and pay your application fee. Applicants should note down Registration ID and Password for Feature use. Conclusion : Assam Public Service Commission has declared 165 Vacancies for the Post of Jr. Grade, Inspector and other Vacancy. Interested Candidates must apply Offline From 17.05.2018. Before applying Candidates should check details given above related to APSC Recruitment 2018. Assam Public Service Commission has issued notification of 50 Forest Ranger Vacancies. applicants who are searching Jobs in Forest Department Assam this is great job opportunity for them. Interested candidates can fill application form for APSC Recruitment 2018 for Forest Ranger Jobs. You can submit prescribed application form for APSC Vacancy till the last date, that is 04.04.2018. Assam PSC Department is inviting application form for filling 50 APSC Forest Ranger Jobs. Submission of application form has been started now. Appliers must check required eligibility Criteria & Other details before filling application form for APSC Jobs 2018. For further information about Education, Age Qualification, Pay Scale & Other details you can collect from below article. Here we are providing Category wise division of APSC Vacancies 2018. You can check more details from Assam PSC Jobs Notification. Applicants who are going to fill application form for APSC Recruitment 2018 must check Required Education & Age Criteria from here. Candidates must read the below section, full details about Eligibility Criteria mention i below Section for Assam PSC vacancies. Applicants must have passed Bachelor’s Degree in Science or engineering Discipline from any recognized university. Candidates cam check subject wise qualification details for APSC Forest Ranger Jobs from notification. Minimum age of the candidates for Assam PSC recruitment 2018 must be 21 years & Upper age must be 43 years as on 01.01.2018. Relaxation in age is applicable up to 05 years for 05 years for SC/ST category candidates for APSC vacancies. Candidates of General category needs to pay Rs. 250/- as application fees. Other category candidates like SC/ST/OBC/MOBC must paid Rs,. 150/- for filling form for APSC Recruitment 2018. Fees must be deposited through offline mode. More information you can collect from official notification. Selected candidates will paid pay band Rs. 22,000/– to 87,000/- per month with grade pay Rs. 10,300/- for APSC Forest Ranger Jobs. Candidates will selected for APSC recruitment 2018 on the basis of Written Exam & personal Interview. candidates can check Exam Pattern & syllabus from official APSC Jobs Notification. Keep stay with this page for more details. Interested & eligible candidates for Assam APSC Vacancies 2018 can fill application form here till the last date by using the below steps. Follow the given steps which is helpful for applying APSC Forest Ranger Jobs Application form. First of all candidates log on to the official website www.apsc.nic.in. Now click on recruitment Advertisement section & read APSC Assam Jobs Notification. if you eligible then download application form. Attach your scanned passport size photo & documents with form. Deposit application fees & attached with form. Conclusion : APSC Recruitment 2018 For 50 Forest Ranger Vacancies. Candidates can fill application form for APSC Jobs 2018 on or before the last date 04.034.2018. Check more details from above article or by reading Assam PSC Jobs Notification. Dear Applicants, Assam Public Service Commission has now issued recruitment notification of 169 Veterinary Officer, Fishery Development Officer & Other Posts. Interested candidates can fill application form for APSC Recruitment 2018 from here. This is great job opportunity for all the candidates who are searching Jobs In Assam State. Closing Date of submit APSC Vacancy application form is 19.03.2018. Check more details for Assam PSC Jobs 2018 then read the below article. Assam PSC Department is inviting application form for filling up 169 VO/BVO, Fishery Development Officer & Other Posts. Submission of application form for APSC Jobs 2018 has been started. Applicants who are going to fill application form for Assam PSC Recruitment must check required eligibility criteria form here. 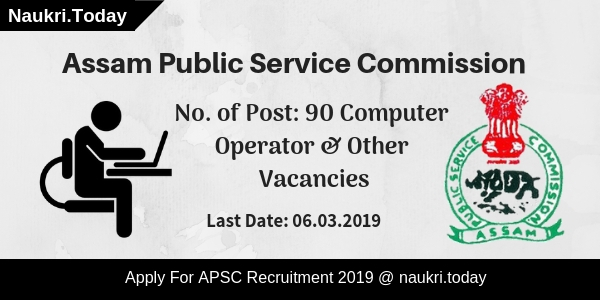 Remaining information like Eligibility Criteria, Pay scale & selection Criteria for APSC Vacancies is mention in below sections. If you are going to fill application form for APSC Veterinary Officer Vacancies then check post wise required Eligibility Criteria form here. IN the below section we are providing Post wise required Education & Age Criteria in the below section. Fishery Development Officer : Candidates must have done B.F.Sc. Degree from any recognized University/ Institute. Medical Inspector of Factories : Degree or diploma in Any branch of Medical. Director of Economics & Statistics : At least 2nd Class Master’s Degree in Statistics, Mathematics & Economics. Veterinary Officer : Bachelor’s Degree in Animal Husbandry & Veterinary Sciences for APSC Vacancies. Lecturer : Bachelor’s Degree in any respective trade. Post No.02 : Minimum 23 years & Upper age should be 43 years. Post No. 03 : 35 years to 45 years. Selected candidates will paid a good salary as per organization norms. After Joining Candidates pay band will be Rs. 30,000/- to 1,10,000/- with grade pay of Rs. 12,700/- per month for APSC Fishery Development Officer Vacancies. General category candidates must paid Rs. 250/- as application fees for Assam PSC Vacancies. Other Candidates of SC/ST Category must paid Rs. 150/- for applying form for APSC Recruitment 2018. BPL Candidates need not to pay any application fees. Selection of the candidates for APSC Recruitment 2018 will made on the basis of Written Exam or Interview. Which is notify later. For more details about selection you can check from official APSC Jobs Notification 2018. Interested candidates in APSC Vacancies can fill application form for Various PSC Assam Jobs here till the last date 19.03.2018. Read the below steps which is helpful for filling application form for APSC VO Recruitment 2018. First of all candidates log on to the official website www.apsc.gov.in. Now go to Recruitment Section & click on APSC Notification link. Now download Assam PSC Jobs Application form. Take print out of them. Now Deposit application Fees & attach with form. Now submit the application on correct postal address. Conclusion : – APSC Recruitment 2018 For 169 Various Vacancies. Candidates can fill application form for Assam PSC Vacancies on or before the last date 19.03.2018. Check more information by reading the above article. Assam Public Service Commission has declared notification of recruiting candidates on 149 Lecturer Vacancies. Interested applicants can fill application form through offline mode for APSC Recruitment 2017 – 18. Submission of application form for APSC Vacancy has now started. Candidates, you can submit application form on or before the last date 26.12.2017. Rest of the details about Assam PSC Vacancy Eligibility Criteria, Age Criteria & Other from here, which is mention in below article. Those contenders who are going to fill prescribed application form for APOSC Vacancy should check post wise required Eligibility Criteria From here, Appliers you can also check these details from official Assam PSC Notification which is shown here. Candidates must have done Mater’s Degree in respective Field from any recognized University or Institute for APSC Vacancy 2017. Candidates must have minimum work experience in relevant Trade, check more details from official notification. Age of the candidates for APSC Lecturer Vacancy should be in between 21 years to 38 years as on 01.07.2017. Relaxation in age for Assam PSC recruitment is applicable up to 05 years for all reserved category candidates of Assam State. There is no need to pay any application fee for filling form for APSC Recruitment Online form. Selected candidates for APSC Lecturer Recruitment will paid Rs. 12,000/- to 40,000/- with grade pay Rs. 5,900/- per month. More details you can collect from below official APSC Jobs Notification. Candidates for Assam PSC vacancy will selected on the basis of Written Exam & Screening test. Full details will mention on APSC Jobs Advertisement. Contenders who are interested to fill application form for APSC Recruitment 2017 can apply online. The last date to submit the completely filled application form for PSC Assam Vacancy is 26th December 2017. Candidates who wish to apply for APSC Vacancy 2017 can check the easy steps given here at naukri.today. You will also get the direct official links to fill the online application form and download the notification pdf for Assam Lecturer Jobs. Then, search for “APSC Recruitment 2017 Notification. Now, read the notification completely. If you are interested and Eligible For APSC Vacancy click on Download Application Form link. Then, Attached your photograph and other documents with the application form. Now, recheck all the details filled in the application form. Pay the application fee for Assam PSC Recruitment 2017 if required. Then submit application form To Under Secretary, APSC before 26.12.2017. Conclusion : APSC Recruitment 2017 – 18 notification is now available on its website for total 149 positions. The applicants who are interested can apply for APSC Lecturer Vacancy can fill application form for Lecturer Vacancy. Candidates should submit the completely filled application form for PSC Assam Recruitment should submit latest by 26th December 2017.